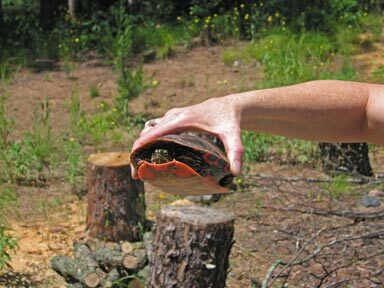 June 29, 2008: A small turtle was spotted crossing the Gilbert Lodge Grounds. Paula held it up for a photo and then carefully put it back on the ground to continue on in the warm sun of the day. 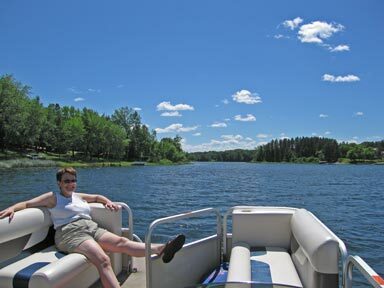 Out on Gilbert Lake, Paula "Gilligan" Persons is sunning aboard The Minnow. 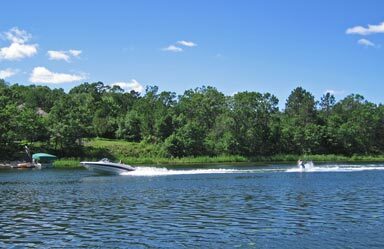 Other boats on the lake are named Millennium, Odyssey, and Lucky Lady. 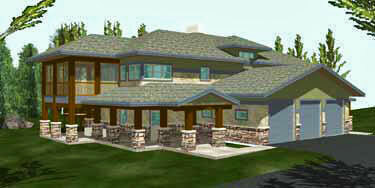 A group of Canadian Geese was seen along the shore. 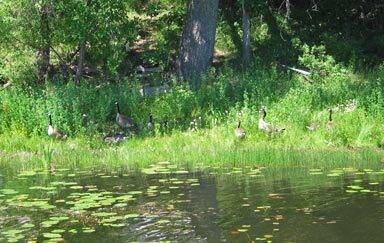 The geese weren't bothered much by water skiers also using Gilbert Lake. 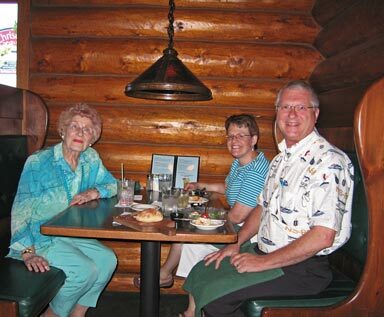 That night, we celebrated the 92nd birthday of Mom (June Persons) at the Black Bear Lodge & Saloon in Baxter, MN. A fun time was had by all.